According to a new study, China and other Asian nations are fueling an increased demand for ivory. NAIROBI, Kenya — Poachers killed an estimated 100,000 elephants across Africa between 2010 and 2012, a huge spike in the continent’s death rate of the world’s largest mammals because of an increased demand for ivory in China and other Asian nations, a new study published Monday found. Warnings about massive elephant slaughters have been ringing for years, but Monday’s study is the first to scientifically quantify the number of deaths across the continent by measuring deaths in one closely monitored park in Kenya and using other published data to extrapolate fatality tolls across the continent. The study – carried out by the world’s leading elephant experts – found that the proportion of illegally killed elephants has climbed from 25 percent of all elephant deaths a decade ago to roughly 65 percent of all elephant deaths today, a percentage that, if continued, will lead to the extinction of the species. China’s rising middle class and the demand for ivory in that country of 1.3 billion people is driving up the black market price of ivory, leading to more impoverished people in Africa “willing to take the criminal risk on and kill elephants. The causation in my mind is clear,” said the study’s lead author, George Wittemyer of Colorado State University. The peer-review study was published Monday in the Proceedings of the National Academy of Sciences. It was co-authored by experts from Save the Elephants, the Kenya Wildlife Service, an international group called MIKE responsible for monitoring the illegal killings of elephants, and two international universities. “The current demand for ivory is unsustainable. That is our overarching conclusion. It must come down. Otherwise the elephants will continue to decrease,” said Iain Douglas-Hamilton, founder of Save the Elephants. 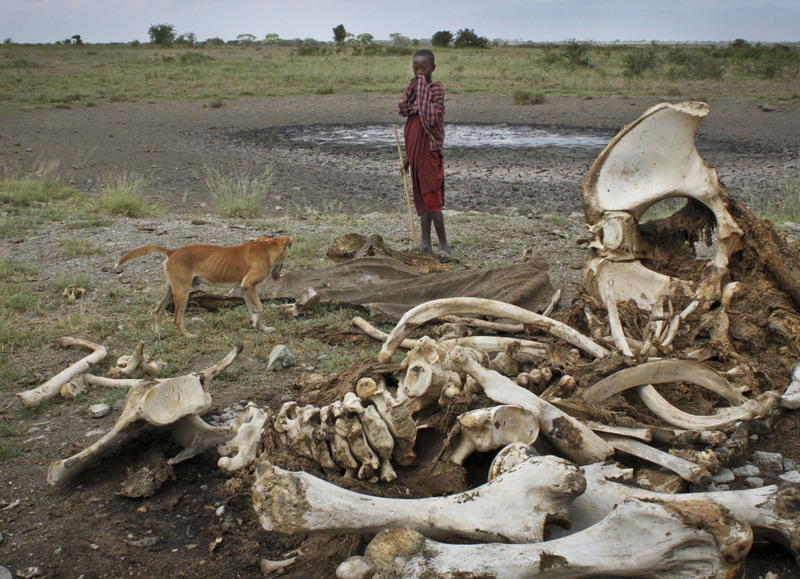 Elephant deaths are not happening at the same rate across Africa. The highest death rate is in central Africa, with East Africa – Tanzania and Kenya – not far behind. Botswana is a bright spot, with a population that is holding steady or growing. South Africa’s rhinos are being killed, but poachers have not yet begun attacking elephants. Some individual elephant death numbers are shocking. The elephant population in Tanzania’s Selous Game Reserve dropped from 40,000 to 13,000 in the last three years. China is aware of its image problem concerning the ivory trade. The embassy in Kenya this month donated anti-poaching equipment to four wildlife conservancies. Chinese Ambassador Liu Xianfa said at the handover ceremony that China is increasing publicity and education of its people to increase understanding of the illegal ivory trade. Counting elephants is extremely difficult. Even Douglas-Hamilton refuses to offer an estimate as to how many live in Africa. An often-cited number is roughly 400,000, but the Save the Elephants founder would argue that no one truly knows. Counting elephant deaths is just as hard. 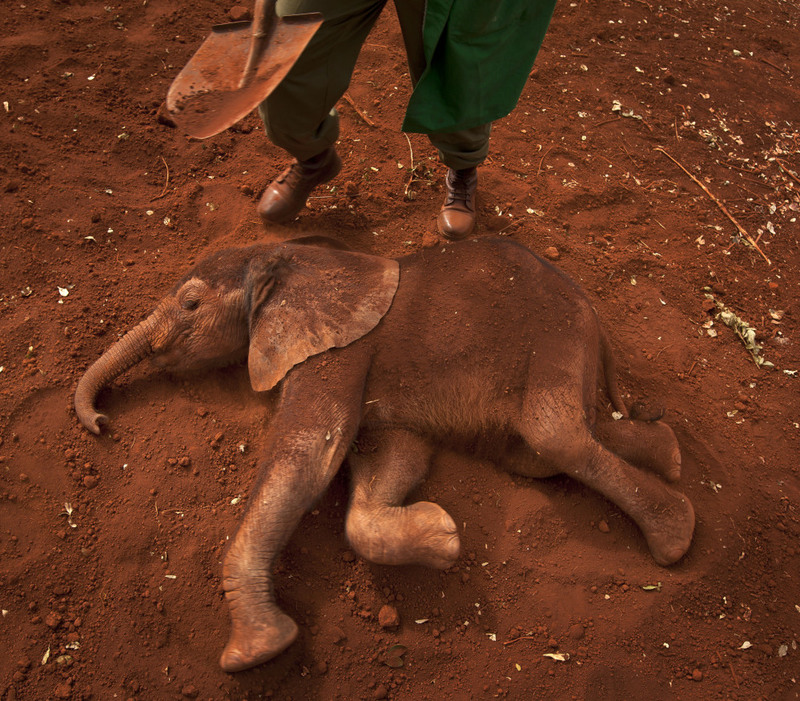 But a Save the Elephants project in northern Kenya’s Samburu National Reserve has counted elephant births and deaths and were able to determine that the continent’s deaths between 2010-2012 were about 100,000. “This is the best work available from the best data we have using officials from the top organization, so in my mind this is the best you are going to get at the moment,” said Wittemyer. Despite the huge death numbers, both Wittemyer and Douglas-Hamilton believe elephants can survive. Wittemyer said more elephants will be killed, but in areas where countries are willing to invest in wildlife security numbers will hold steady, he said. Elephants survived a huge poaching crisis in the 1970s and 1980s fueled by Japan, Douglas-Hamilton noted. “I have to be an optimist,” he said. “I’ve been through all of this before in the 70s and 80s.